The garage is often used to store sporting equipment, outdoor lawn equipment, gardening tools, bikes and items for your car. The garage is often also used to store any other miscellaneous items that you don’t want to keep in your household. Because of all of the odds and ends that are often stored in the garage, it can become disorganized very quickly. In a past post, we covered some garage organization tips that can help you get rid of some clutter. 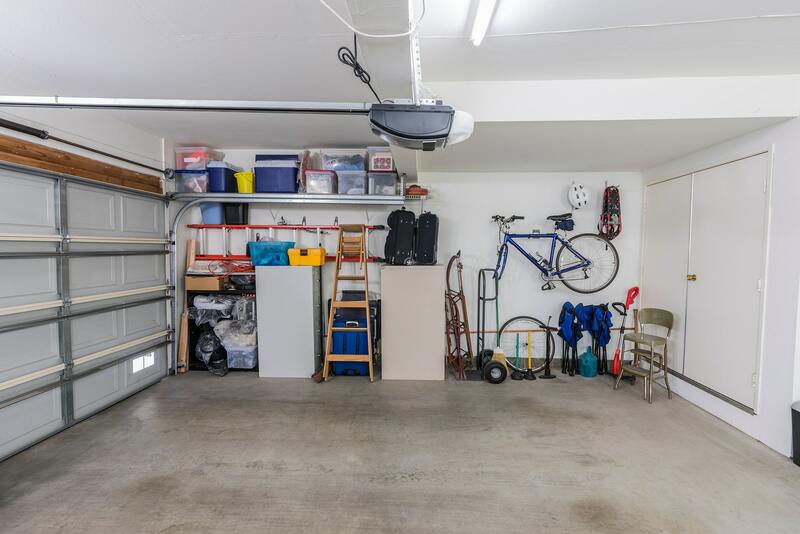 Now that your garage is more organized, take back your garage space by trying out these storage tips! Organize Your Garage into Categories: Organize your garage so you can spend less time digging for your summer items and more time enjoying them. Keep the sprinklers, water balloons and hoses in one section and the sports equipment in another section. Use Garage Shelving: Utilize garage shelving to store your smaller and more commonly used items. This will not only help to keep you neat and organized, it will also help to protect more fragile items that could easily be damaged in your garage. Use a Garage Storage Cabinet: A garage storage cabinet is a great option for the items you don’t use very often. Tuck seasonal items or items that don’t have a home away until they are ready to be used. Organize Toys into Bins: Keep all of your kids toys together into organized bins. Group the toys into categories, then label the outside of the bin they will be easy to find. Utilize Wall Space: The more items you’re able to store on your walls, the more space you will have in your garage. You can purchase inexpensive hooks, shelves and bulletin boards from your local hardware store. Mount Your Bikes: If you are storing your bikes in your garage, be sure to mount them to the wall. Bike racks and hooks are relatively inexpensive and can help to keep your bicycle out of harm’s way. As you’re sorting through the items in your garage, you may discover that the reason your garage became disorganized in the past is because you simply have too many items. If you have reached this conclusion, consider a storage unit rental. A storage unit rental allows you to make more space in your home by clearing items out that aren’t used as often. For example, out of season sporting equipment and lawn equipment can easily be stored in a storage unit. Lighthouse Self Storage has storage facilities in Whittier, CA, Westminster, CA, Oceanside, CA, Carson, CA, Homestead, FL, Fort Lauderdale, FL and West Palm Beach, FL! We have 5×5, 5×10 and 10×10 storage units, perfect for any sized storage need. Make space in your garage and reserve your storage unit today!